Fats are often classified as monounsaturated, polyunsaturated, or saturated. They can also be classified by the length of the fatty acid molecules—which is really a measure of the number of carbon atoms in each chain. 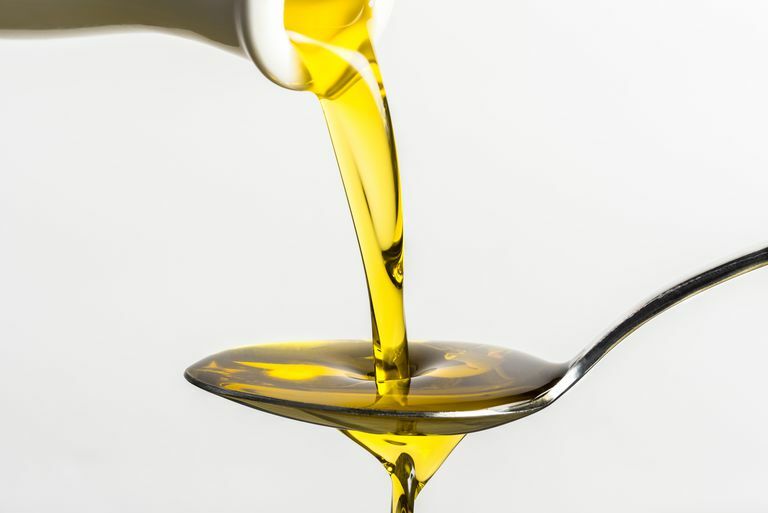 Monounsaturated and polyunsaturated fats can also have different chain lengths, however, none of them fall into the "medium-chain" or "short-chain” categories of saturated fats. Chains of saturated fats can range from having 3 to 36 carbon atoms. The body uses various fatty acids in different ways, and the number of carbon atoms a fatty acid chain has will determine how our body responds to them. Medium-chain fatty acids have approximately 8 to 12 carbon atoms in the chain. When three are packed together with glycerol, the result is a triglyceride molecule called a medium-chain triglyceride (MCTs). Medium-chain triglycerides (MCTs) are a type of dietary fat thought to offer a range of health benefits. They are unique in that they appear to increase fat oxidation (burning), satiation (the feeling of fullness), and energy expenditure (the amount of fuel needed to power physical performance). These properties have attracted the interest of bodybuilders and endurance athletes, some of whom use MCT supplements as part of their routine training. MCTs naturally occur in coconut oil, palm kernel oil, and dairy products and can be purchased as dietary supplements. MCTs may also offer health benefits to non-athletes by altering the composition of lipids that contribute to heart disease, diabetes, and other disorders. All dietary fats made up of a chain of carbon atoms. The main form of fat in the American diet, called long-chain triglycerides (LCTs), is comprised of a chain of 12 to 18 carbon atoms (as opposed medium-chain triglycerides' 6 to 10). The shorter chain length means that MCTs are absorbed through the intestines intact. Unlike LCTs, MCTs go straight to the liver where they are either used for immediate energy or turned into ketones (an alternate source of energy for the brain). This "fast-track" process means that MCTs are less likely to be stored as fat. By contrast, LCTs are converted into fatty acids that circulate freely in the bloodstream or get warehoused in adipose (fat-containing) tissues. Because MCTs are used more efficiently for energy, they may be able to promote fat burning and increase weight loss, especially in people with obesity. Our bodies readily absorb medium-chain fatty acids during digestion, which means they’re easily accessible as a source of energy. The brain, heart, and other major organs use the byproduct of these fats, called ketones, as energy. Studies have suggested medium-chain triglycerides may be antimicrobial and other research has found they may be able to help with weight control and even some neurological conditions. In supplement form, medium-chain triglycerides are often used as a natural remedy for improving sports performance and weight loss. A number of smaller studies have suggested that MCTs can increase caloric burn and, as a result, help with weight loss. In a 2003 study published in Obesity Research, 24 overweight men were asked to consume diets rich in either MCTs or LCTs for a total of 28 days. At the end of the study, men on the MCT diet achieved greater weight loss than those consuming LCTs due to the increased energy expenditure. According to the investigators, men who consume MCTs lost nearly three times as much upper body fat as those who consumed LCTs. There was also a trend toward a greater loss of whole-body subcutaneous fat. With that being said, the increased fat oxidation appeared to peak early in the study (more or less around day two) and gradually level off as the study progressed. This brings into question how effective MCTs can be as part of rational, long-term weight loss program. Some scientists have even questioned whether these benefits have been blown out of proportion since the clinical findings have not been consistent. A 2015 review published in the Journal of the Academy of Nutrition and Dietetic reported that, of the 14 studies reviewed, only six reported weight loss, four reported increased fat oxidation, and one reported increase satiation. The extreme variability in results suggests more research is needed before MCTs can be proclaimed a viable weight loss aid. While there is evidence MCTs can contribute to weight loss, the link to improved exercise performance is weak. It has long been presumed that by providing the body with immediate energy in the form of MCTs, the body's usual source of fuel (glycogen) can be conserved. For performance athletes, this would mean exercise endurance could be increased by shifting from one energy source to another. According to a 2010 review of studies in the International Journal of Food Science and Nutrition, there was no clear evidence of improved exercise expenditure in adults provided MCTs. In their conclusions, researchers stated "MCT feeding is ineffective in improving exercise performance"—but didn't necessarily undermine the other benefits of MCTs. While most of the current research has been focused on MCTs and weight loss, other studies have looked into how the dietary fats may affect metabolic disorders such as hyperlipidemia (high cholesterol) and type 2 diabetes. There is some evidence that a diet rich in MCTs can improve cholesterol levels. A 2009 study reported that consuming 30 milliliters of coconut oil daily increased "good" HDL cholesterol, decreased "bad" LDL cholesterol, and reduced the waist circumference of women with obesity after 12 weeks. Similarly, MCTs may improve insulin sensitivity in people with type 2 diabetes. A 2007 study in Metabolism described the same benefits of MCTs (increased HDL, decreased LDL and weight circumference) but also showed that insulin sensitivity was improved after 90 days of treatment. Given that the study involved overweight adults, it is unclear whether MCTs directly affected insulin sensitivity or were simply a secondary effect of weight loss. Further research is needed to validate the findings. Although medium-chain triglycerides are likely safe for most people, they may trigger side effects in some, including nausea, stomach upset, gas, diarrhea, and vomiting. The regular consumption of MCTs can lead to the excessive build-up of ketones in the body. This can be harmful to people with diabetes, triggering potentially life-threatening ketoacidosis. While there is no clinical evidence of ketoacidosis occurring as a result of consuming MCTS, ask your doctor before increasing your intake. Regular intake of MCTs may also cause health problems in people with liver disease, as their liver is less able to process dietary fats. MCTs may also have the potential to interact with cholesterol-lowering statin drugs, although the interactions are considered minimal and rarely require dose adjustment. Due to the lack of safety research, MCTs should not be used by children, pregnant women, and nursing mothers. Medium-chain triglycerides are found in abundance in coconut oil (over 60 percent fatty acids), palm kernel oil (over 50 percent fatty acids), and dairy products (10 to 12 percent fatty acids). If you are unable to tolerate coconut or palm kernel oil, MCTs can also be taken in supplement form. These supplements come in the soft gel capsules or as a dried powder, which can be mixed into smoothies, fruit juices, or protein shakes. There are no guidelines on the appropriate use of MCTs in treating obesity or other health conditions. Generally speaking, a 15-milliliter dose before meals (3-4 times a day) is considered safe and tolerable for most people. As a rule of thumb, start with lower doses and gradually increase as tolerated. Coconut oil, palm kernel oil, and coconut milk are the richest sources of medium-chain fats. Lauric acid and decanoic acid are examples of medium-chain fatty acids. The best way to incorporate MCTs into your diet is with coconut oil. You can save money by purchasing the oil at your grocery store rather than a drugstore or supplement shop. Keep in mind that fractionated coconut oils are also often sold as nutritional supplements. These types of oil have had their long-chain fatty acids removed via water and steam distillation. When buying MCTs in supplement form, check to ensure there are no other added oils or ingredients. The supplement should contain 100% coconut or palm kernel oil, ideally fractionated and certified organic for greater safety and purity. The most concentrated form (nearly 100%) is MCT oil, which is made by extracting medium-chain triglycerides from a natural source, like coconut oil. Dose per dose, MCT oils deliver around seven times the amount of MCTs that coconut oil does. Do not store coconut or palm kernel oil in the refrigerator—this will cause them to solidify. Instead, store in a cool, dry room away from direct sunlight. Can you get enough MCTs from dairy? However, keep in mind that to achieve the same health benefits of coconut or palm kernel oil, the amount of dairy you'd need to include in your diet may be more than you're comfortable with and could increase your risk of heart disease due to the excessive intake of saturated fats. One tablespoon of coconut oil contains roughly 8 grams of MCTs. By contrast, one tablespoon of butter delivers 1 gram, while one 1-ounce slice of cheddar cheese provides 0.4 grams. Assunção, M.; Ferreira, H.; dos Santos, A. et al. Effects of dietary coconut oil on the biochemical and anthropometric profiles of women presenting abdominal obesity. Lipids. 2009 Jul;44(7):593-601. DOI: 10.1007/s11745-009-3306-6. Clegg, M. Medium-Chain Triglycerides Are Advantageous in Promoting Weight Loss Although Not Beneficial to Exercise Performance. Int J Food Sci Nutr. 2010 Nov;61(7):653-79. DOI: 10.3109/09637481003702114. Han, J.; Deng, B.; Sun, J. et al. Effects of dietary medium-chain triglyceride on weight loss and insulin sensitivity in a group of moderately overweight free-living type 2 diabetic Chinese subjects. Metabolism. 2007 Jul;56(7):985-91. DOI: 10.1016/j.metabol.2007.03.005. Mumme, K. and Stonehouse, W. Effects of medium-chain triglycerides on weight loss and body composition: a meta-analysis of randomized controlled trials. J Acad Nutr Diet. 2015 Feb;115(2):249-63. DOI: 10.1016/j.jand.2014.10.022. St-Onge, M.; Bourque, C.; Jones, P. et al. Medium- versus long-chain triglycerides for 27 days increases fat oxidation and energy expenditure without resulting in changes in body composition in overweight women. Int J Obesity. 2003;27:9-102. DOI: 10.1038/sj.ijo.0802169. St-Onge, M.; Ross, R.; Parsons, W. et al. Medium-Chain Triglycerides Increase Energy Expenditure and Decrease Adiposity in Overweight Men.​ Obes Res. 2003 Mar;11(3):395-402. DOI: 10.1016/j.jand.2014.10.022.